Race through the beautiful and rugged trails at Historic Brattonsville, located at 1036 Brattonsville Rd. in McConnells, SC on Saturday, Nov. 10 beginning at 8 a.m. Part of the Culture & Heritage Museums, Historic Brattonsville is a Revolutionary War site and living history farm. 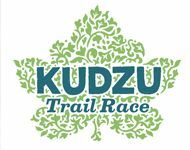 Sponsored by Nance Law and Nate Mallard: The Home Team, the Kudzu Trail Race begins and ends at Hightower Hall and offers both 5k and 8k routes. Performance awards for six categories, male and female, along with team with fastest aggregate time and team with most members. Registration, which includes T-shirt and race bag, is $30 until Sunday, Nov. 4, and $35 thereafter. Online registration ends at midnight, Thursday, Nov. 8. Race-day registration begins at 7 a.m. and timing will be provided by Jack Rabbit Timing. You will be able to see finish times and winners within an hour of last finisher. This event will take place rain or shine, and if canceled, there will be no refunds. Awards will be given to the fastest male and female winners, and male and female first place finishers in following age groups: 12 to 17, 18 to 29, 30 to 39, 40 to 49, and 50+. All participants will get a medal upon completing the course. There will be a separate award for the fastest male and female finishers. Feel free to contact us at connect@chmuseums.org.